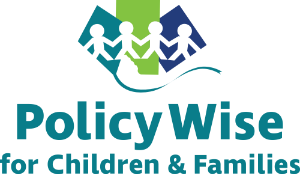 The Canadian Child Welfare Research Portal (CWRP) website has been developed to convey information and build a network of child welfare researchers, service providers and policy makers. Information disseminated through this website is provided by the CWRP, its partners, and other sources. Material on this site is subject to the terms and copyright limitations imposed by the original publishers, who must be contacted directly for permission to reproduce their materials. The material and links on this website are provided for informational purposes only and do not necessarily represent the official views or endorsements of the CWRP, its funders or partners. Material originating from the CWRP, including information sheets and other material identifying the CWRP as the original publisher, may be downloaded and reproduced for non-commercial purposes only, provided the authors and the CWRP are acknowledged as the source on all copies. Material provided from all sources is subject to the terms and copyright limitations imposed by the original publishers, who must be contacted directly for permission to reproduce their materials.